With over 435,000 active primary care physicians in the U.S., setting yourself apart can be more than challenging. In addition, the marketplace has become even more competitive with the rise of digital advertising and social media marketing. If your practice is struggling to fill the appointment books or if you simply want your voice to be heard in the crowd of your peers, here are five ways you can better market your practice online. Before you hit the ground running in your pursuit for more patients, you need to define your marketing goals and objectives. Marketing goals should support your overall business plan. Your goals should also be specific, realistic and measurable. For example, your marketing goal could be a number, such as year-end revenue, the number of new patients you’d like to attract in a month, or the amount of Twitter followers you’ve gained in three months. Your marketing goal could also be as simple as your practice’s culture or attitude towards patient care. Do you want to be number one in customer satisfaction? Do you want to highlight that you’re family-friendly? 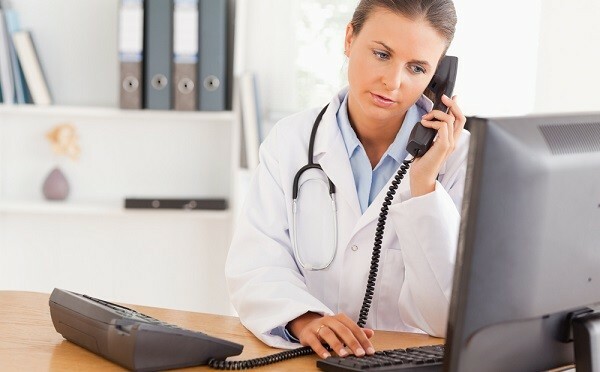 Do you want to focus on telemedicine and virtual doctor visits? Whatever your goal is, develop a marketing strategy that speaks to your target patient and helps improve your practice’s profitability. The healthcare industry has gone online. In fact, 87% of U.S. adults use the internet and 77% of online health seekers say they began their last internet session at a search engine such as Google, Bing, or Yahoo, according to Pew Research Center. To attract patients, you’ll need to establish an online persona. The first step is to build a website. By having a professional looking website, you can provide your patients with important information about your practice before they make an appointment. A website will also help you appear in search engines, since that’s the number one place where patients look for healthcare providers. A website gives you the opportunity to promote the best features of yourself and your practice. You’ll want to feature your address, phone number, and office hours front and center. This information should be easy to find on your site. You can also include any awards, certifications, recognitions and degrees you’ve received over the years in your “About” section. You can list the schools you’ve attended or where you volunteer your time outside of the office as well. You may also want to consider using your site as an educational resource. Since patients are taking more control of their healthcare needs, and with so much misinformation on the web, it’s important that you present yourself as the voice of reason. As a professional with an established practice, you can leverage your expertise and provide reliable information to your patients. Your blog could also be used for educational purposes. In additional to medical advice, treatments options, and personal anecdotes, your blog should give your patients a taste of your office culture. This can help a patient understand more about your practice and why they should visit you instead of your competitor across the street. Plus, each blog post you write will improve your search engine rankings. While you may not have the time to blog regularly, it’s worth testing it out whether it’s a few times a week or a few times a month. Blogs can help increase website traffic, provide content for your social sites and newsletters, and give your practice an authentic, human voice. To help give you some inspiration on how to start a blog, here are some physician and medical related blogs you may want to check out. In a study published in the Journal of General Internal Medicine, 37% of patients surveyed contacted their doctor via email in the past six months, and 18% sought medical help via Facebook. It’s obvious that patients are eager to communicate with the doctors through social media channels. To accompany your website and blog efforts, you should develop a social media plan or calendar. If you’re new to social media, start with two or three of the main platforms, i.e. Facebook, Twitter, Google+ or Instagram. Social media marketing is a long-term investment, so be patient – it will take time to build a following, but it will be worth it as you see your online community grow. Your next challenge is finding time to post and figuring out how often. This will come with time and practice. Try spending an hour on the weekend scheduling posts throughout the week using a social media scheduling tool like Buffer, Hootsuite or Tweetdeck. These are all free and easy to use. You could also consider having staff members draft posts to help take the weight off your shoulders. Your posts don’t have to be complicated. Offer a quick tip, answer a common medical question, use an inspirational quote, share industry news, or post alerts such as an office closing or weather advisory. It’s that simple. If you’re not sure what time you should post to your social networks, take a look at this comprehensive guide of when you should post to social media sites. Great customer service can go a long way in making your practice look favorable to new customers and your existing clientele. In the digital age, patients are going online to voice their concerns and frustrations. If you receive a complaint on an online rating site like Yelp, ZocDoc, Vitals or RateMDs, there is a right way and a wrong way to respond. Instead of going on the defensive and letting anger get the best of you, use a calm and professional tone if you choose to write a response. Remember not to disclose any personal or medical information online that may violate HIPAA’s rules and regulations. Here are some additional tips on how you can respond to negative online reviews. By working hard to resolve patient issues outside of the exam room, online onlookers will see your compassion and willingness to listen closely to your patients. You can even use positive reviews to your advantage by posting them to your website, in the hopes that they will draw in a few more patients. Physicians are always looking for new ways to connect with patients. The online community is just another vehicle to help drive more patients to your practice and promote your services. Failing to market yourself could be deemed a disservice to the medical community who may not be aware of your existence. Don’t miss this opportunity to increase your digital footprint. Tell us: what digital channels are you using to market your practice?